As proof that first impressions can be misleading, one need not look further than Uranus. After the spacecraft Voyager 2 visited Uranus in 1986, it was dubbed “the most boring planet” in the Solar System. But recent photos from the Hubble Telescope reveal that Uranus is not as dull as once imagined. 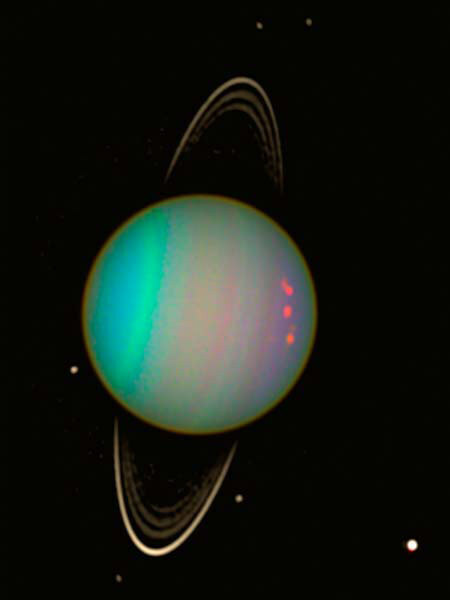 For one thing, Uranus is the only planet other than Venus with a retrograde (i.e., clockwise) orbit. Unlike the other planets of the solar system, however, Uranus is tilted almost all the way over on its axis. Essentially, it orbits the sun on its side. Astronomers hypothesize that this unusual orientation might be due to a collision with a planet-sized body soon after Uranus was formed. Because of its unusual axial tilt, each pole gets around 42 years of continuous sunlight, followed by 42 years of darkness. (A year on Uranus is equal to 84 years on Earth). Bizarrely, however, even though the poles receive more sun than the equator, Uranus is – for unknown reasons — hotter at its equator than at its poles. 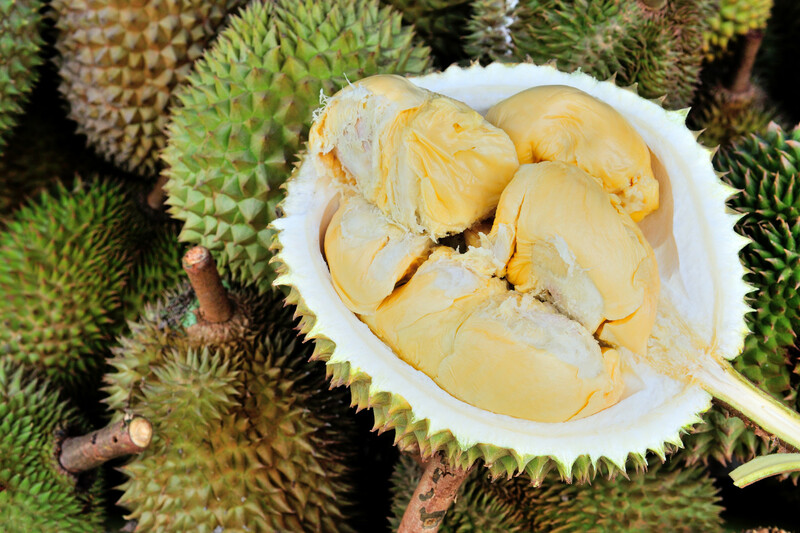 Durian’s smell has been likened to “road kill wrapped in sweaty socks.” It’s so pungent that it’s been banned in most Asian airlines and hotels. And with a taste that has been described as “cheese, decayed onion and turpentine,” durian sounds like something you wouldn’t want in your garbage, let alone your mouth. So why are people willing to pay as much as $25-50 for this “king of fruits”? The green, melon-sized durian grows on trees throughout Southeast Asia. The outside is covered with spiky thorns that can pierce even calloused hands. On the inside it has five oval compartments, each filled with pale, edible pulp and one to five large seeds. Since a durian can weigh as much as 18 pounds, farmers have been known to wear helmets to protect their heads when they harvest the fruit. 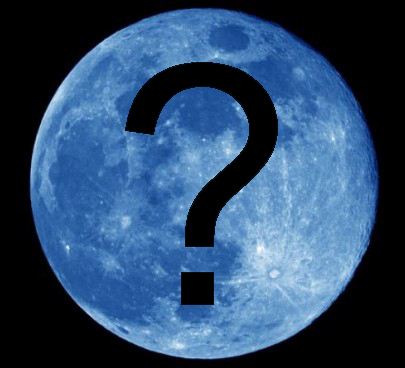 What Exactly is a “Blue Moon”? The phrase “blue moon” is used metaphorically to refer to a rare event, as in the expression “once in a blue moon.” It has nothing to do with the actual color of the moon, although any moon can appear blue if the air is full of particles from volcanic eruptions or forest fires. A “blue moon” is usually defined as the second full moon occurring during a calendar month. But until 1946, a “blue moon” was the third full moon in any season in which there were four full moons. It was a sort of Leap Day for moons, necessitated by the fact that the average lunar cycle is 29.53 days, slightly shorter than an average month. 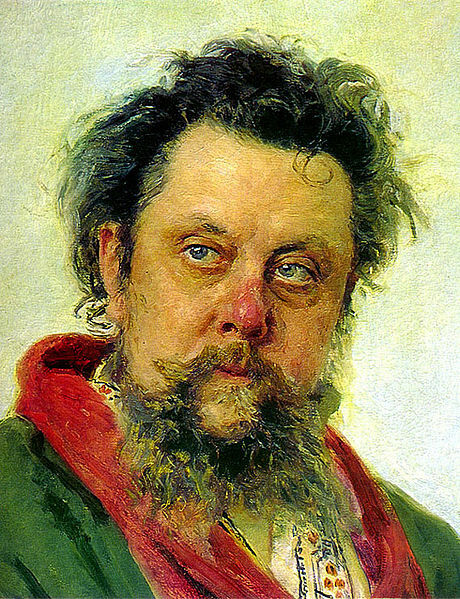 Chromotherapy is a centuries-old method of treating disease. In its original form, it was based on the theory that each of the body’s organs and limbs has its own distinct color. Disease was said to be the result of one or more of these parts not vibrating in harmony with its color. Medical practitioners in ancient Egypt, Greece, China and India used chromotherapy. They prescribed both direct exposure to sunlight and, indirect exposure through stones, dyes, ointments and plasters. 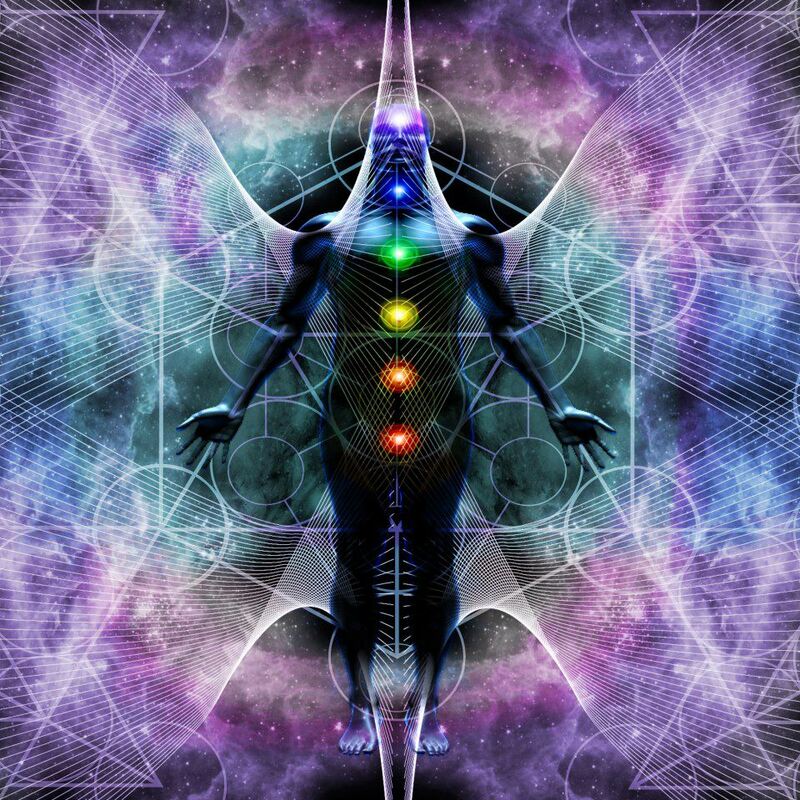 In the Ayurvedic tradition, colors are held to correspond to the body’s seven major energy centers, known as “chakras.” Chakras are also believed to correspond to particular states of consciousness, personality types and endocrine secretions. Generations of readers (and now moviegoers) have fallen in love with J.R.R. Tolkien’s The Hobbit. The novel — which is properly titled The Hobbit, or There and Back Again — tells the tale of Bilbo Baggins, an unlikely hero uprooted from his home to fight a war in a desolate landscape. What many people don’t know is that John Ronald Reuel Tolkien (born in S. Africa in 1892), based at least some of the book on his experiences as a soldier in WWI’s Battle of the Somme. The Battle of the Somme is famous due largely to the staggering number of casualties over its four-month course. 58,000 British troops died on the first day of the battle — July 1, 1916 — alone. The engagement would eventually claim the lives of some 420,000 English, 200,000 French, and 500,000 German soliders. 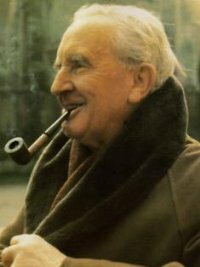 Tolkien himself lost two of his closest friends during the conflict. In 1864, the English astronomer Sir William Huggins made an amazing discovery. 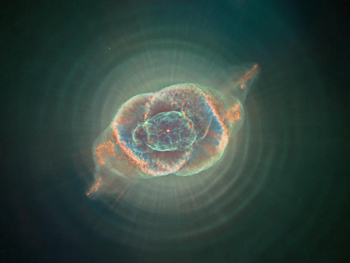 While looking at the Cat’s Eye Nebula through a spectroscope — a device that separates light into its component wavelengths – he observed green lines at wavelengths never seen before. This indicated a new chemical element, which Huggins named Nebulium. It was an exciting discovery except for one tiny thing – Nebulium didn’t fit anywhere into the periodic table of the elements. But the periodic table had just been created (and was, in fact, erroneous in several respects), and the discovery of chemical elements was still in its infancy. Amethyst enjoys a long association with Bacchus (Roman) or Dionysus (Greek), the god of wine. The ancient Greeks and Romans often made drinking vessels from amethyst, in the belief that the stone prevented one from becoming drunk. 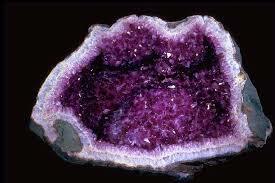 The word “amethyst” itself means “not intoxicated” (from Greek a- “not” + methystos “intoxicated”). Entwistle crafted Frankenstein in 1967 out of the remains of five smashed basses, using the body of a ‘65 Fender Precision bass with an original sunburst finish, (refinished in the mid ‘70s to Fiesta Red/salmon pink). Other parts came from a Fender Jazz bass, and three dead Fender Precision basses with “slab” fret boards, which were only produced in 1962 and 1963. 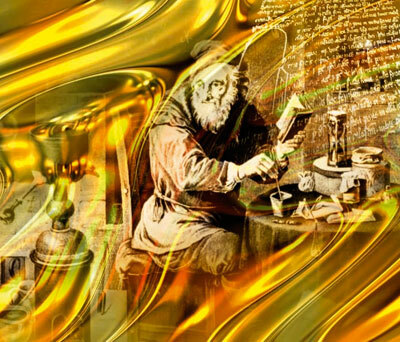 Medieval alchemists were concerned with discovering the “philosopher’s stone,” a hypothetical substance they believed could convert base metals into gold. Though usually held to be a solid, sources sometimes describe it as a liquid also capable of curing diseases and/or staving off death — hence its alternative name, the “elixir of life”. The first known references to alchemy exist in myths and legends about ancient China. Alchemy in the Western world seems to have originated in Egypt, though early records were destroyed around the year 300. The Roman emperor Diocletian was concerned that alchemically obtained gold and silver could be used to fund a revolt. So Diocletian issued a decree ordering the destruction of all books on the subject.